Use this mortgage refinance calculator to get a good estimate on your break even point when researching if you should refinance your loan. The detailed reports will graphically explain the breakeven in closing costs, contrast between savings from refinancing and savings from prepayment. This calculator is only a tool and should only be used to get a general analysis. For a more accurate refinance breakeven analysis call us today at Low VA Rates. Call us now at 855-223-0705. 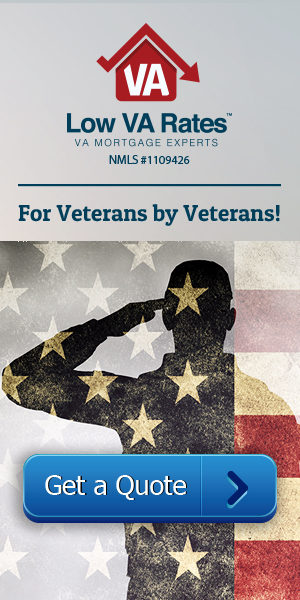 If you are a veteran and have a VA home loan make sure to ask about the VA streamline loan. Below are some mortgage terms used with this calculator. Value of the existing mortgage finance. Value of the home as appraised by the lender during the home purchase. Rate of interest charged yearly on the original mortgage. Term length of the original mortgage. Remaining term length on the original mortgage. Rate of tax expense on your current income. This rate varies based on your level of income. Current value of your home as appraised by the lender during the new mortgage. Portion of the existing mortgage that will be refinanced. Annual rate of interest on the new mortgage loan. Term length to repay the new mortgage loan. Percentage rate charged on the new mortgage amount as the loan origination fees. Points can be purchased at the cost of 1% of the loan amount. If you have points purchased, enter the number of points you want to utilize on the new mortgage. Total of all other closing costs like appraiser fees, filing fees etc. Monthly amount to be paid on principal mortgage insurance. PMI costs will start from 0.5% of the loan balance if your equity contribution is less than 20%. Check this box if your contribution to the home financing is equals to or above 20% of the home value.